We want you to have a personalized experience at to make Beautiful from makeup and skincare to lashes and weddings. 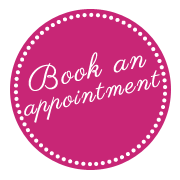 We invite you to be our guest and experience the best in skincare, waxing, lash services and award winning wedding services. You are also able to purchase some of the top skincare lines in the business,: Jan Marini Skin Research, Glymed Purely Professional Skincare as well as GLOSkin Beauty – Cruelty free, gluten free mineral makeup from our website.